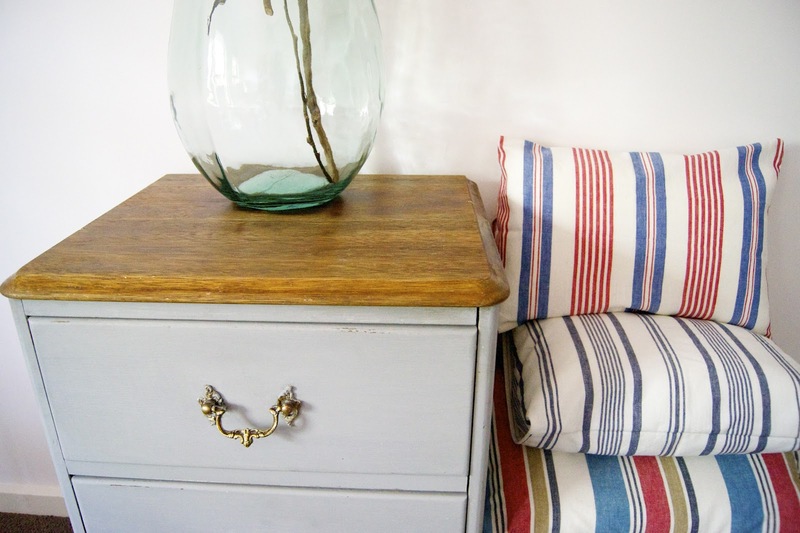 La Maison Jolie: Vintage Dresser Makeover! I'm back to work and therefore my posts have become a bit sporadic. But here's a story that should make you happy! Once upon a time a poor old dresser was standing all by itself in a garage sale. It had cheap white paint all over it, even the handles and looked old and tired. But it spotted me almost as soon as I spotted it from my car window while driving by. 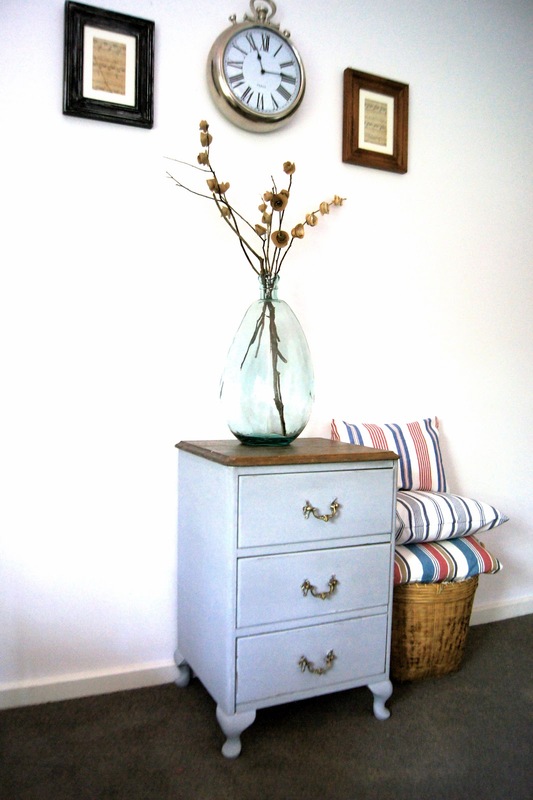 I bought the sad little dresser home with me where it sat in the garage for a week. Last weekend it begged me for a makeover, so that it could be pretty again! And here it is now in all it's new glory! 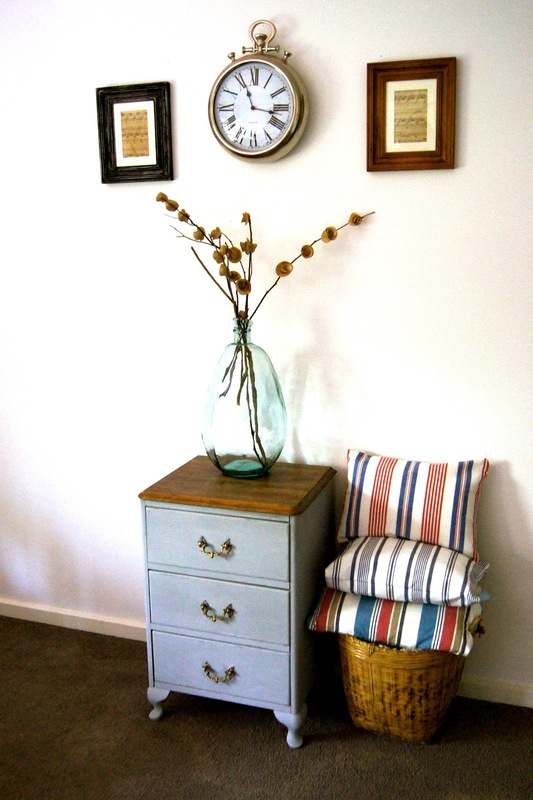 Shabby chic and adding vintage style to my home! 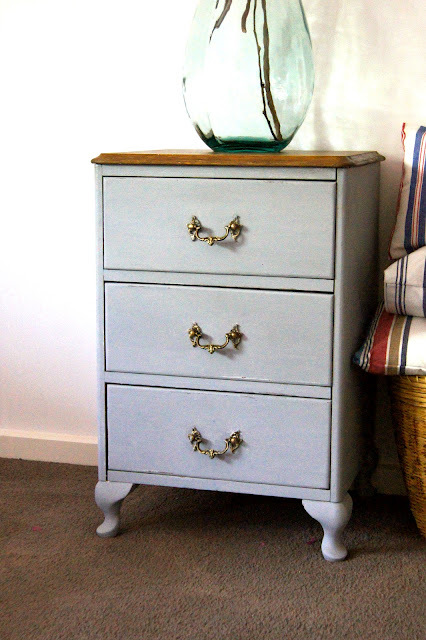 It's dressed in grey with a polished table top and beautiful gold French handles. This is the dresser BEFORE, just home from the sale. And here it is in my living room....I just love it! Lightly distressed on the drawers. It was a pain getting the paint off the handles, hours of brushing with a toothbrush and dishwashing liquid. Most of it came off and whatever little is left, I decided to leave it as I didn't want the piece to look new. This beautiful wood was hiding beneath all that patchy white paint. I had a tough time dragging it to my living room, boy is it heavy! I'm glad I chose to paint it grey and not white. It looked a bit washed out with the white and especially since I sanded back the table top and varnished and polished it. Looks better with the grey paint and gold handles. 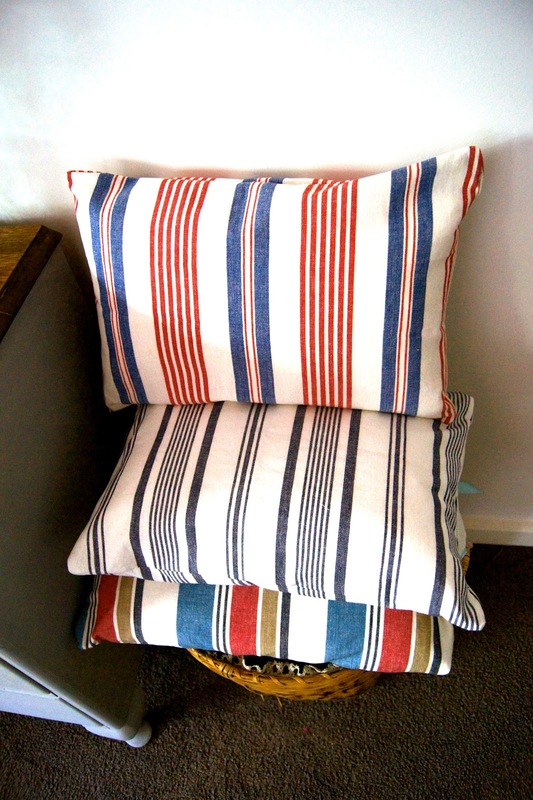 I made these cushion covers with linen washcloths and they turned out amazing! Bright and colourful!!! Great makeover Rani - the dresser looks gorgeous! Cute cushions too! I am grooving on the stained top, painted bottom furniture right now and I love the after. Thanks for sharing on Tout It Tuesday! Hope to see you tomorrow. Love the color combination and the way the hardware pops! This is so pretty! I love how you went light with the distressing. The wood grain on the top is so beautiful. Thanks for the inspiration today!